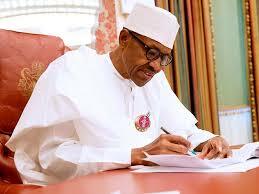 President Muhammadu Buhari has approved the release of N360billion for procurement of equipment to fight insecurity in the country. The Minister of Defence Mansur Dan-Ali, disclosed this to State House correspondents yesterday after a three-hour meeting the President had with service chiefs and heads of other security agencies. “What I can add, after all that I have said is to inform you that of recent, our leader, President Muhammadu Buhari gave approval for the purchase of more equipment for the military, worth $1 billion,” the minister said. The Vice President Yemi Osinbajo-led National Economic Council comprising state governors had last year resolved that $1 billion be withdrawn from the Excess Crude Account to fight the insurgency. The decision had elicited criticisms from various groups and individuals, including the Governor of Ekiti State, Ayo Fayose. The defence minister said yesterday’s meeting discussed the current activities in most of the states of the federation, including Taraba, Zamfara and others. He said government had “Operationalised a division in Sokoto, there will be a Brigade in Katsina and another Brigade in Zamfara that will take care of security situation in that area. He said the government was still making efforts to ensure the safe release of Leah Sharibu, one of the students of Government Girls Science and Technical College, Dapchi, Yobe State, kidnapped by Boko Haram insurgents in February.